This warm and welcoming home is a great alternative to renting! 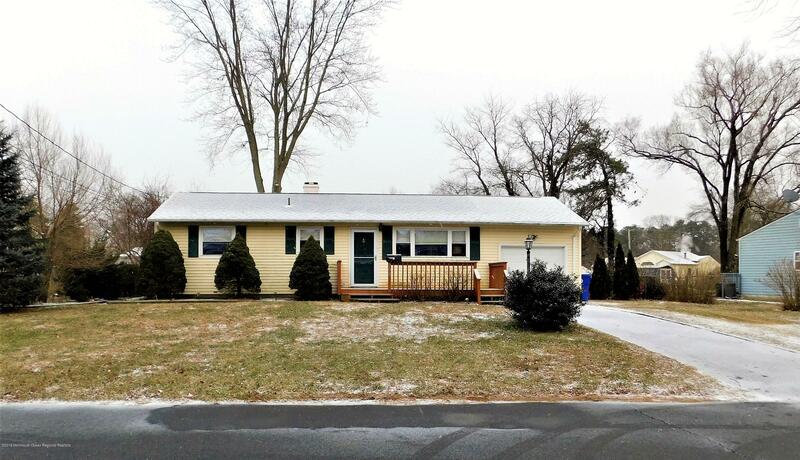 This lovely Ranch offers an updated and stunning Kitchen complete with Granite Counters and Porcelain Tile Flooring! The Living Room and Dining Area showcase beautiful hardwood flooring. There are two nice sized Bedrooms and an over-sized attached, direct entry garage with a workshop! A spacious Fenced Backyard with Large Deck and a Gazebo is a great place for entertaining and for children to play! Also included is the Storage Shed and all appliances! Close to Transportation, Shopping, and Beaches! Don't delay! The only thing missing is You!